The Ultimate Halloween in Nebraska! Many people claim that Nebraska is a hotbed of paranormal activity, with no shortage of haunted places to visit and urban legends being passed around. 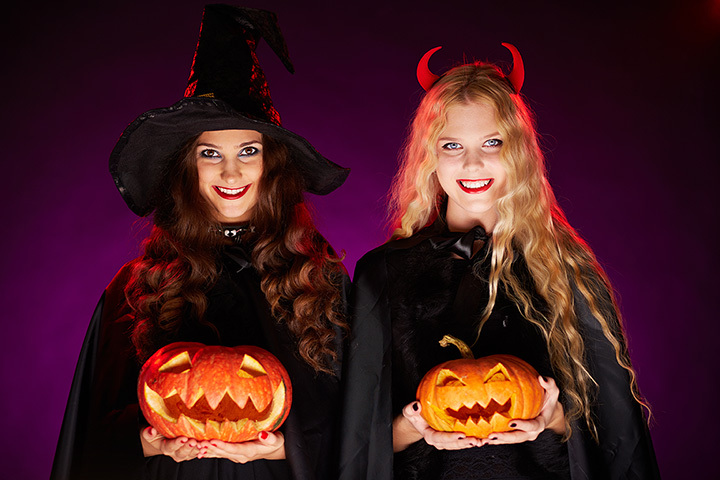 Whether or not you believe in the paranormal, there are plenty of ways to make your Halloween as fun or scary as you’d like. So to help you out, check out the following guide for the ultimate Halloween in Nebraska! Mystery Manor in Omaha is one of the oldest haunted attractions in the region and its staff have been leading visitors through its rooms and corridors since 1984. Supposedly, an Omaha elitist axed his own wife to death on the property in the 1920s. There’s nothing creepier than a walk through this place around Halloween time! The FINAL showing of Ghouls Gone Wild is upon us... 8-11pm TONIGHT.. 716 N 18th St. Tickets $12. Located in downtown Lincoln, Licorice International offers more than 160 varieties of licorice, chocolate, and candy from 12 countries, making it the ultimate place to pick up all of your Halloween candy needs if you’re in the area. Make your way through the dark and twisted Grey House Haunts in Holdrege, a spooky experience right in the heart of Nebraska’s cornfields. This haunted house is truly in the middle of nowhere so you’ll definitely feel like no one can hear you scream! For a healthier way to celebrate Halloween, sign up for the Monster Mash Run/Walk to scare away childhood obesity. Both a timed 5K run/walk as well as an unlimited 1 mile run/walk will take place in the Rockbrook neighborhood in Omaha and there will be prizes for the best costumes. There is a legend that claims a witch hung herself from a bridge in Weeping Water and she now haunts the area. If you’re brave enough to walk across this bridge, be careful! The legend also claims the witch might try to pull you over into the creek! Gather your little ghouls and goblins and head to the Omaha Henry Doorly Zoo for the zoo’s annual Spooktacular. You’ll get a chance to see jungle bats flying freely and to witness the nocturnal animals on their nightly adventures. The zoo will also have trick-or-treating and fun interactive activities for kids. Make your way to Reverb Lounge in Omaha for the ultimate Halloween bash. Dress in your best costume for a chance to win fabulous prizes. There will also be music to move your bones and drink specials that will have you screaming for more. Whether you’re looking for something spooky or sweet, Stagecoach Gifts and Jewelry in Kearney is one of the best places in central Nebraska to find a high quality Halloween costume that will help you win best-dressed on Halloween night. Make your way to The Durham Museum for a spooky night of fun. Visitors are invited to come in costume and trick-or-treat with historical characters throughout the museum’s halls. Games and other fun activities will also be available as well as a performance by UNO’s The Move Company. Located in one of the most haunted buildings in the Midwest, the Museum of Shadows is home to more than 100 haunted artifacts from around the world. Book a tour and get ready to see some very unusual, spooky sights and sounds!